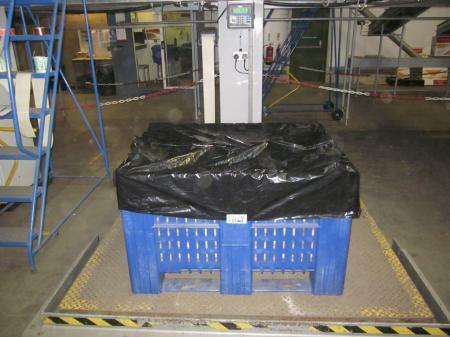 Dolav is delighted to have been selected as the supplier of plastic pallet boxes used in a pivotal part of the supply chain to transport raw material to the processing lines for McCain Foods' frozen Ready Baked Jackets. Some of the potato growers had been using Dolav plastic pallet boxes and based on their experience, selected the Dolav Ace for this important task. 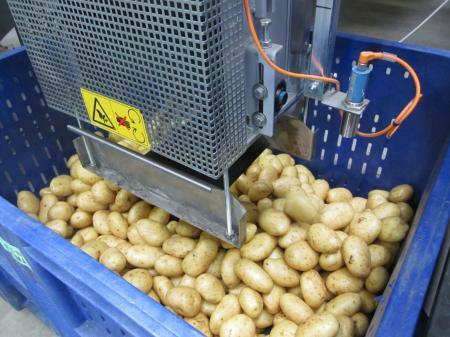 McCain originally chose the perforated Dolav Ace to allow air flow around the potatoes when in cold store and now also uses the solid-wall Ace. The Dolav Ace is injection moulded in one piece from food-grade HDPE. Its three integral runners are strong and do not have hidden cavities. This means the Dolav boxes are easily kept clean to food hygiene standards and reused in a continuous cycle from potato washing and grading plants to factory. The Dolav Ace has recently been confirmed as having hygienic design by Campden BRI. 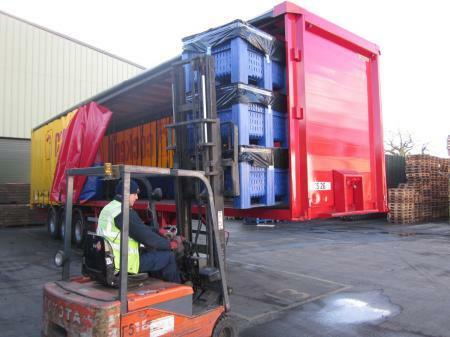 As proof of the Dolav Ace superb performance, following the initial delivery, McCain Foods has continued to order additional Dolav Ace plastic pallet boxes to a total now exceeding 1500.